Peyton Manning, of the Denver Broncos, is pictured in this file photo. Denver Broncos quarterback Peyton Manning is mentioned in the lawsuit a group of women filed against the University of Tennessee last week in which they said the school violated Title IX regulations in the way it has handled reports of sexual assaults by student-athletes. The lawsuit was filed by six unidentified women and focuses on five cases that were reported between 2013 and 2015, but it also references incidents involving Tennessee student-athletes dating to 1995. One paragraph in the 64-page document includes a sexual harassment complaint made by a Tennessee trainer in 1996 involving an incident that occurred in a training room while she was treating Manning. The trainer, Jamie Ann Naughright, settled in 1997, but sued Manning for defamation in 2002 after he discussed the incident in a book. The lawsuit was settled in 2003. Manning played for Tennessee from 1994-97. Naughright's sexual harassment claim involved a 1996 incident in which Manning exposed his buttocks as Naughright, then known as Jamie Whited, bent over to examine his foot in a training room. 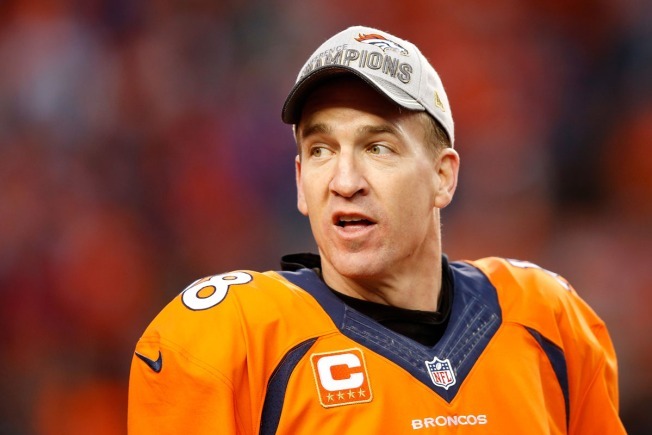 Manning said at the time it was a prank intended for another athlete. The Title IX lawsuit says Manning had "sat on her face" while she was assessing the extent of an injury. The New York Daily News released a 74-page document Saturday that Naughright's lawyers had filed on her behalf in 2003 while the defamation suit was still in litigation. The federal lawsuit filed Tuesday says Tennessee created a "hostile sexual environment" through a policy of indifference toward assaults by student-athletes. The plaintiffs say Tennessee's policies made students more vulnerable to sexual assault and that the school had a "clearly unreasonable response" after incidents that caused the women making complaints to endure additional harassment. The suit also states the university interfered with the disciplinary process to favor male athletes. Bill Ramsey, a lawyer representing the school, said in a statement the university "acted lawfully and in good faith" in the situations outlined in the complaint.